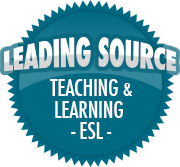 Ways Students React to English | So, You Think You Can Teach ESL? I’ve had similar experiences in the past. Kids don’t always want to speak English but it’s important to encourage them to at least try. This statement may come as a shock to people (especially anyone reading with experience in a job similar to an ALT) but…the truth is…students are not always super willing to speak English. I know. If you need a second, that’s fine. In elementary school, my favorite thing to do with a large class is to give everyone a card with various information on it, arm them with a question and answer formula, and set them to finding the one person with a matching card. This activity elicits excited enthusiasm and energy from some students, and…well, not that, from others.